Mondo Style windows are equipped with MACO hardware. This hardware is designed so as to meet the most demanding requirements concerning the insulation, sealing and protection against burglars. 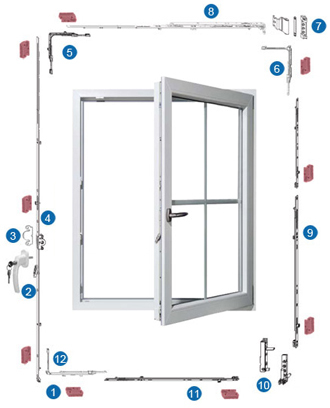 Because in Romania most house burglaries occur by forcing open the windows or the doors with glass surfaces, it is very important to provide each window with individual protection mechanisms against burglery. 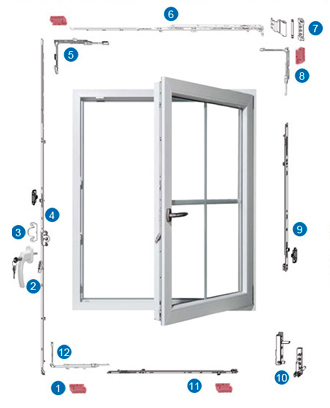 The special closing systems and other safety components provide the opportunity to achieve a personal protection against burglery for each window or door. the use of simple levers is also included. 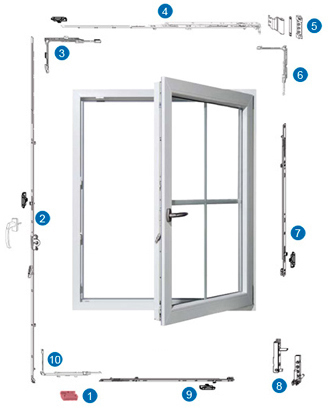 The window protection is designed so as to prevent the situations where the burglar tries, using simple tools such as a screwdriver, pliers or wedge to force open the lock and bolted window.